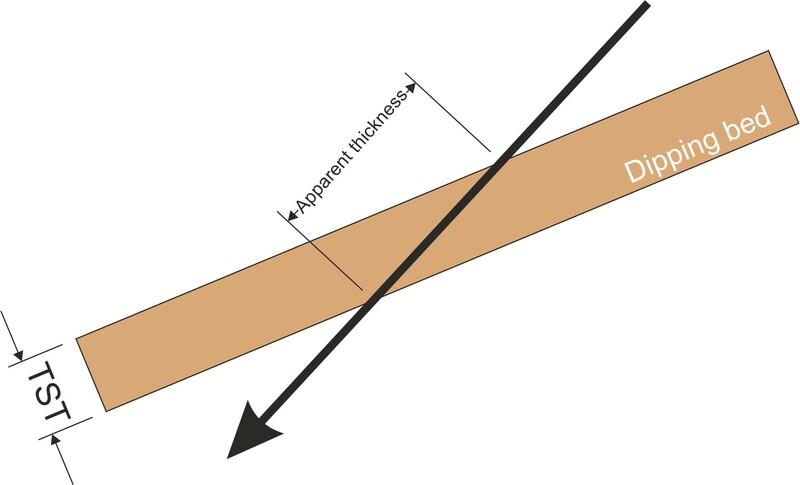 Thickness of a unit determined perpendicular to stratigraphical dip. In subsurface, dipping successions and inclined wells will usually lead to apparent bed thickness anomalies. From knowledge of the depths to bed contacts, hole orientation and structural dip a true stratigraphical thickness can be calculated. GROSHONG, R. H. Jr. 1999. 3-D Structural Geology, Springer, Berlin, p324. See also total depth and true vertical depth.